Who doesn't LOVE a Chilli? It's the perfect Autumn comfort dish. I long thought I had THE BEST recipe for a Chilli con Carne (generally a good dose of Red Wine, a couple of Oxo's and a load of other ingredients), but I was wrong, oh so wrong. So, I'm mixing it up today (Monday), and taking ideas from different recipes to amalgamate them into one incredible, extensive (and therefore, expensive) 'Chilli-Recipe-Of-The-Gods' to change your game! The beer adds a great depth of flavour to the dish that you just don't get with wine; malt sweetness and a little bitterness. I used Adnams Broadside as I was in a rush at my local offie. Add about 400ml of the beer Beer, the Beef Stock, Coffee, Tomato Puree, Chopped Tomatoes and season with the Sugar, Chilli Powder, chopped Chilli, Herbs, Chocolate, Salt, and as much Worcester Sauce as you can handle (I'd happily drink the stuff!) Add half of the Beans, cover, and simmer until reduced by half, around 45 minutes. Taste and season further with Salt & Pepper, and add another glug of Beer to bring it back to life. I served it with a Perfect Jacket Potato (rubbed with Olive Oil, Salt, pepper & Rosemary, and cooked at 180 for 60-70 minutes), but would also be awesome with Rice or in a wrap. Although the ingredients list is quite extensive, just remember that most of the ingredients are probably already in your cupboard. It cost me just under £20 for the Steak, Beans, Beer, Mushrooms, Beef Stock & Chocolate, and there was enough for 4-5 people. Not bad for how bloody brilliant it was, but it's also great the next day after the flavours have developed further! Enjoy with more of the beer you made it with, or a great Steam Beer such as that from Anchor Brewing Company, a great beer to cut through the spice and compliment the smoky chilli flavours. Adnams Broadside is widely available, although currently 2 for £3.00 at Waitrose. 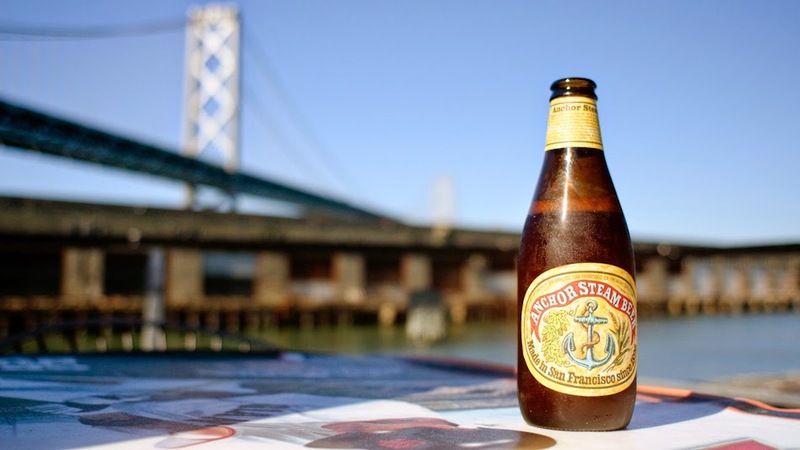 Anchor Steam Beer is well worth tracking down, and available in most Majestic Wine stores, 6 for £10.99 when you buy 2 cases.